We had 20 contestants participating from 6th, 7th, and 8th grades. 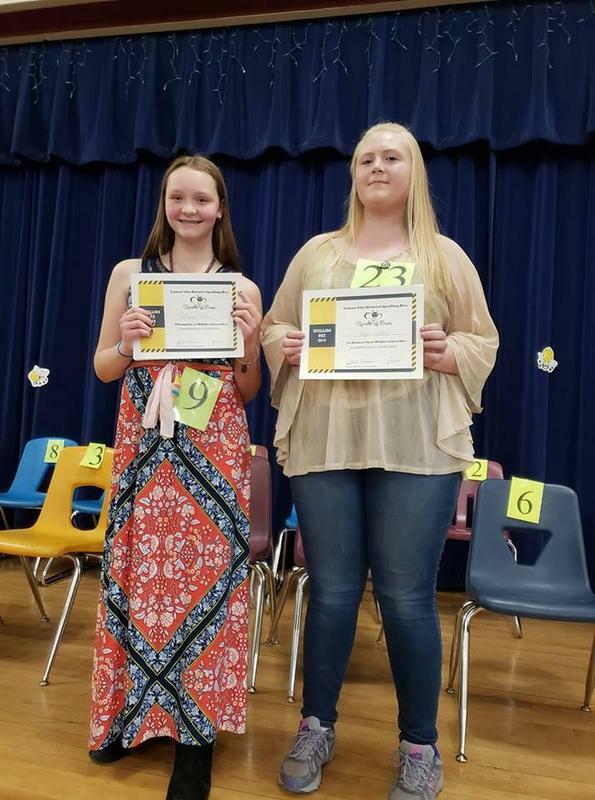 Students from Canon Exploratory School, Canon City Middle School, Harrison Middle School, and Mountain View Core Knowledge School demonstrated their spelling abilities in the CCMS Auditorium. Our CHAMPION speller was Abbigayle Heller (7th at CCMS) and our RUNNER-UP was Hope Valdez (8th at CCMS). Congratulations to all participants for making it to the district level bee. Abbigayle will be headed to Denver to compete at the state level competition on March 16th. Good luck! !